Advances in technology and the Internet of Things have changed the way we live and work, so too they are changing the way security operates – ‘traditional’ security measures are evolving and becoming more advanced and in some cases interconnected. But what is the impact on offenders? Perpetuity Research is undertaking a study, interviewing offenders to understand how they react to this ‘new’ security. In addition, they are conducting a survey of security professionals, launched today, to ascertain their views on the types of changes taking place, whether this is likely to impact on offenders, and the broader challenges to security that advances in technology present. This survey is anonymous, takes approximately 10-15 minutes to complete and the deadline for responses is Friday 22nd March 2019. It is best suited to those involved in physical security such as security suppliers, managers (including intermediaries) who purchase security and other security experts. All participants are given the opportunity to automatically receive a free copy of the findings once the report is published (Autumn 2019). To begin the survey please click here. 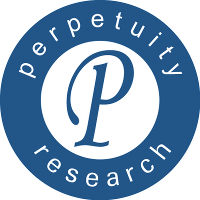 The research is being undertaken under the umbrella of the Security Research Initiative – For more information, please visit the Perpetuity Research website.